Lawrence Whitaker, one half of the Design Mechanism, announced the new name for RQ6 this weekend. Mythras is the new name for RuneQuest 6th Edition, the acclaimed roleplaying system developed by The Design Mechanism. From July 2016, the name Mythras takes over from the previous trademark, but the same great rules continue, bringing you d100-based roleplaying adventure centred on logical, consistent, straightforward mechanics, coupled with innovative approaches to character creation, combat, magic and monsters. The name may have changed, but the song remains the same. Why did we choose Mythras as a name?First of all, the game has always been about adventuring in mythic landscapes, with characters shaping their own stories, creating their legends and forging their own myths. It comes from the authors’ deep love of real world myths and ancient stories and so is the natural starting point for a new name. Next comes Mithra or Mithras, a deity found in Persian, Greek, Roman, and Celtic mythologies. Mithras is a god of warriors, a divine protector of oaths and covenants, a protector of cattle and of waters. In the Zoroastrian Avestas, he is described as Mithra of Wide Pastures, of the Thousand Ears, and of the Myriad Eyes. Bringing these two sources together gives us Mythras, a game concerned with myths, protectors, oaths, great deeds and wonderful stories: the perfect name for our game system. Also Lawrence announced the release data and preview of Classic Fantasy, which is basically a D100 version of early D&D using the Mythras system. This is a special sneak peak at the highly anticipated RuneQuest 6 and Mythras supplement, Classic Fantasy. With this book (to be released in April or May), fans of d100 roleplaying systems have all the tools they need to undertake Old School dungeon and wilderness crawls, with all the classes, spells, magic items and monsters found in one of the most venerable and fondly remembered game systems in the hobby. This 18 page preview gives a sample of the new rules, spells and monsters Classic Fantasy contains. It also introduces Mythras – the new name for RuneQuest 6th Edition, and we hope you enjoy this sample of what is to come! Black Hack for the Win! 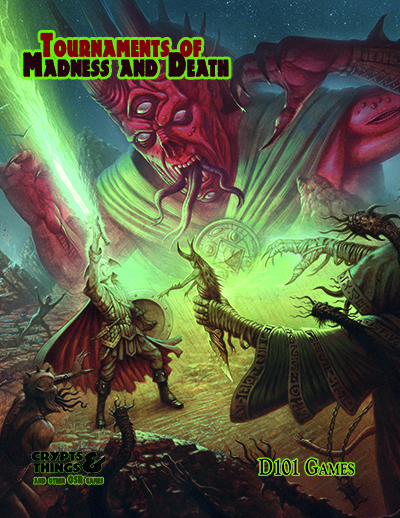 Want a cheap streamlined OSR Ruleset from the UK Tradition of Grimdark? 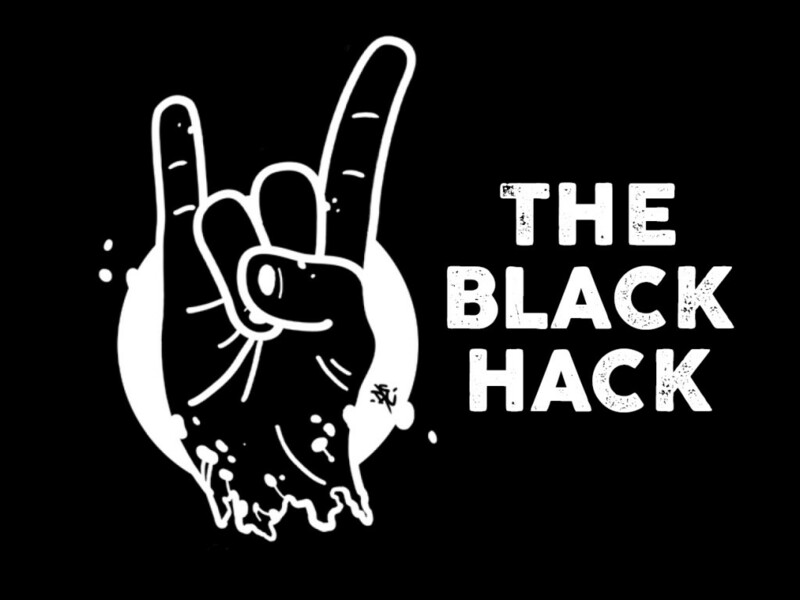 Check out the Black Hack on Kickstarter now! The Black Hack is a super-streamlined roleplaying game that uses the Original 1970s Fantasy Roleplaying Game as a base, and could well be the most straightforward modern OSR compatible clone available. If speed of play and character creation, compatibility, and simple – yet elegant rules are what you yearn for. Look no further! This campaign will fund a professional print run of the rule book, and if we make some Stretch Goals, add a few additional items to complement the game. We all as DM’s created our own worlds in which things worked in certain ways. Don’t like psionics? Fine, they don’t exist in your world. Think that vampires as presented are too tough or not tough enough? OK, make them fit your world. Think something ought to work a certain way, or not work a certain way? No problem, they worked the way you felt “right” in your world. I love this, I was an B/X & AD&D 1st kid brought up on early White Dwarf whose articles were originally written for OD&D (with the rather embarrassed note about how they had been updated for the new AD&D books), so it always struck me the early D&D stuff was a riot of fun, calmed down by the ‘you must do it this way’ attitude of AD&D. This article confirms that.